View Walking up the Spring for Apache Kafka Stack on Notist. Spring provides several projects for Apache Kafka. 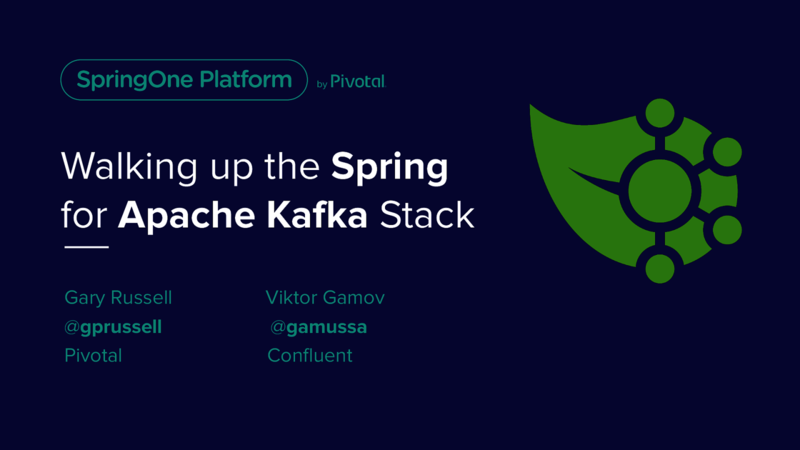 spring-kafka provides familiar Spring programming paradigms to the kafka-clients library. spring-integration-kafka adds Spring Integration channel adapters and gateways. The kafka binder for spring-cloud-stream provides kafka support to microservices built with Spring Cloud Stream and used in Spring Cloud Data Flow. In this talk, we will take a look at developing applications at each layer of the stack, and discuss how to choose the layer for your application.